Bring on all the Christmas things! I seriously love this time of the year. 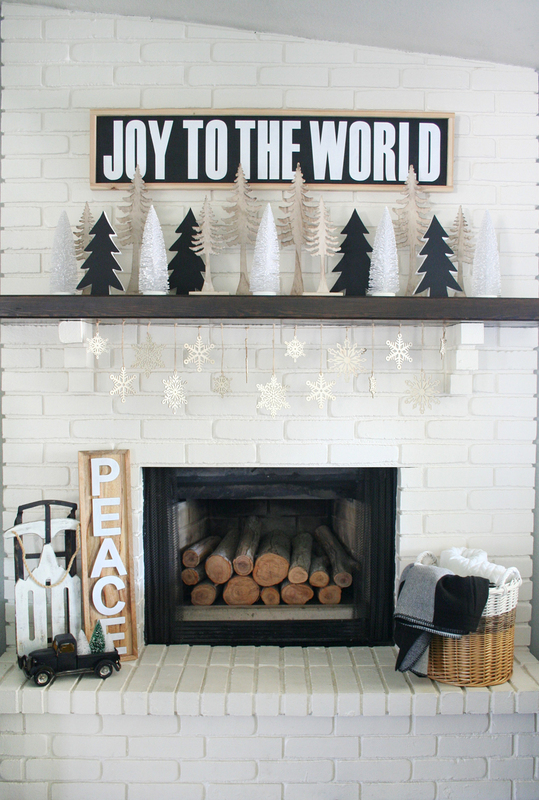 Decorating my mantel for Christmas is probably my favorite time to decorate my mantel out of the whole year. 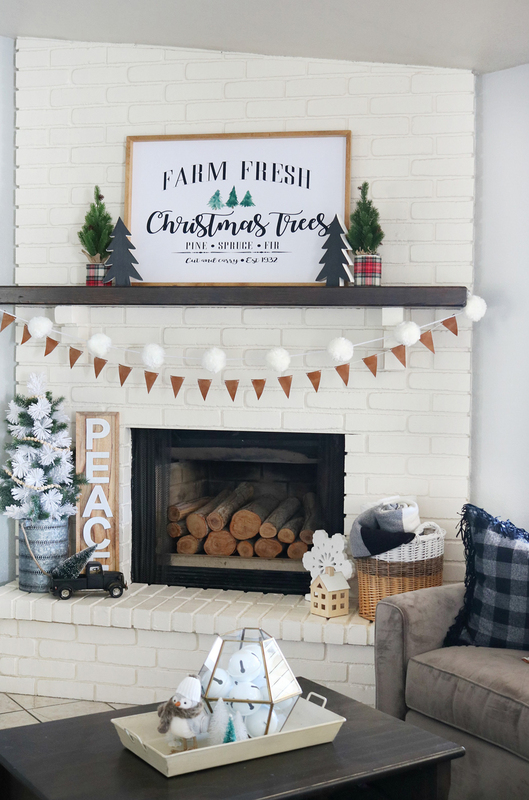 I recently shared my Buffalo Check Holiday Mantel with you guys a few weeks back, but it just wasn’t fitting what I was envisioning for my decor this year. 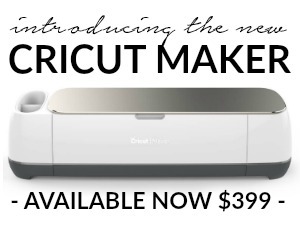 So I did what any sane person would do, I switched it up! 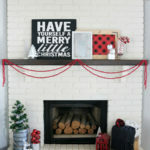 This Leather & Flannel Christmas Mantel is a lot more of what I wanted this year. 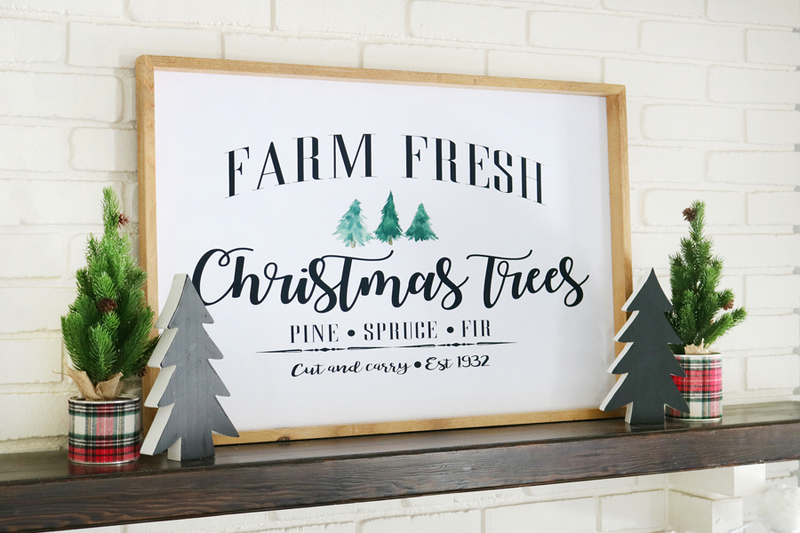 The gorgeous inspiration for this mantel is the new Farm Fresh Christmas Trees sign I got from Sincerely Us Shop. You might have seen it when I posted a picture of it HERE. 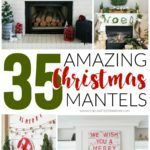 Since my mantel is so large I chose the largest size available. As soon as it arrived I knew I made the right choice, it’s so pretty. 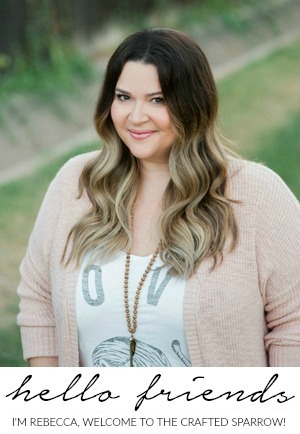 It was the perfect large statement piece I needed for my decor. 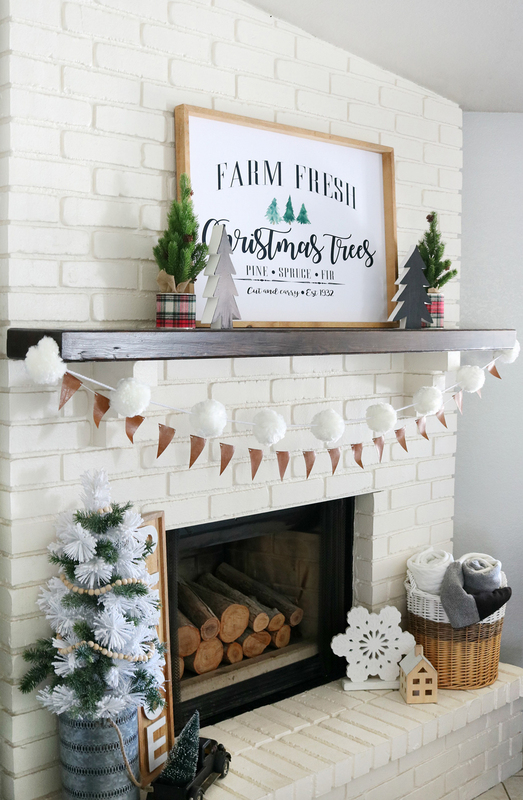 I wanted my mantel to be simple but cozy this year. 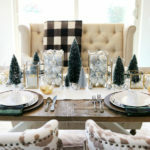 By bringing in lots of textures I was able to achieve the cozy feeling I wanted. 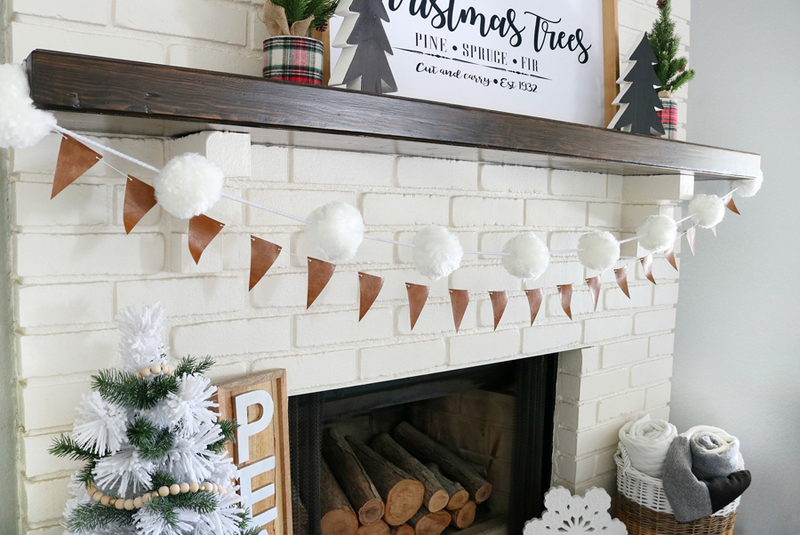 I added a fun yarn pom-pom garland from Joann Fabric & Craft. 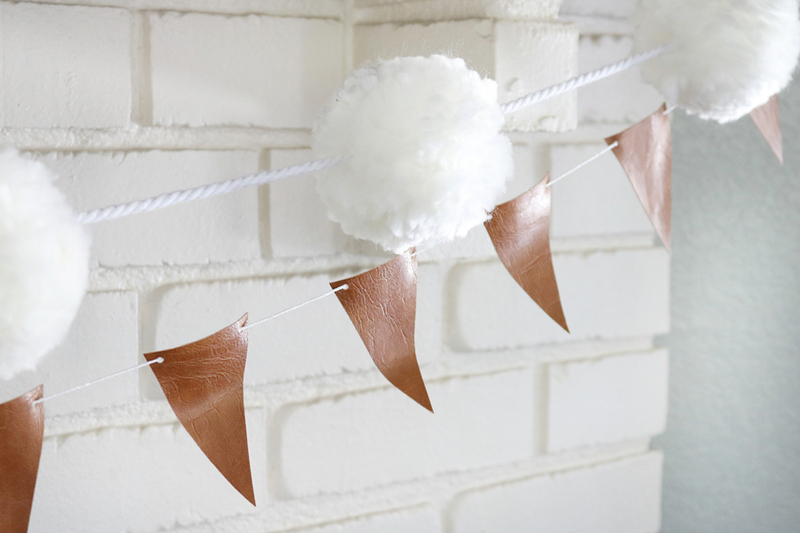 I paired it with a faux leather garland in my favorite camel color. 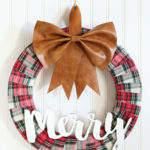 I made the cute little faux leather garland using the faux leather I used for the Faux Leather Christmas Tree Pillow and Faux Leather & Flannel Christmas Wreath. I just made a template out of cardstock and cut out small pennants. Then using a hole punch I punched small holes for stringing, I used bakers twine to hang it. 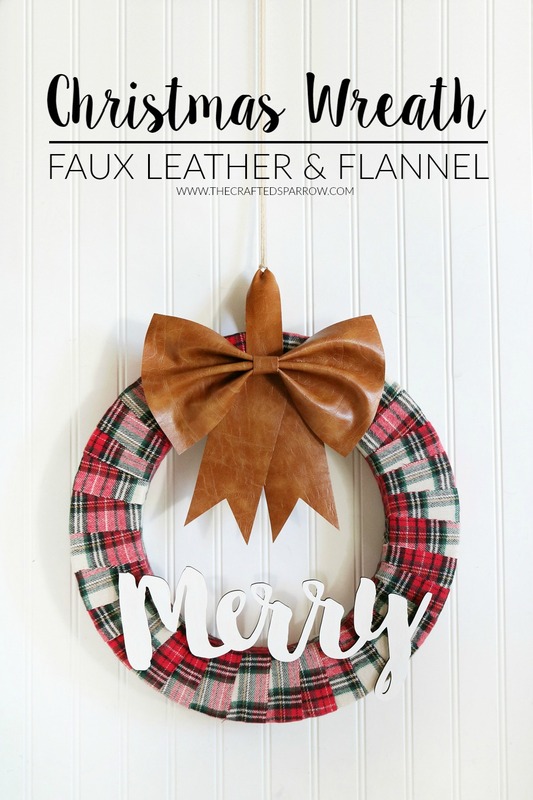 I wanted to add a small touch of the plaid flannel I used in one of my holiday pillows and my Faux Leather & Flannel Christmas Wreath. 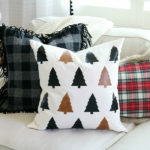 I didn’t want a lot of red in my decor just a small pop of it, I still wanted most of my decor to be black and white with a touch of wood. I did just that by covering some tin cans with the plaid flannel. 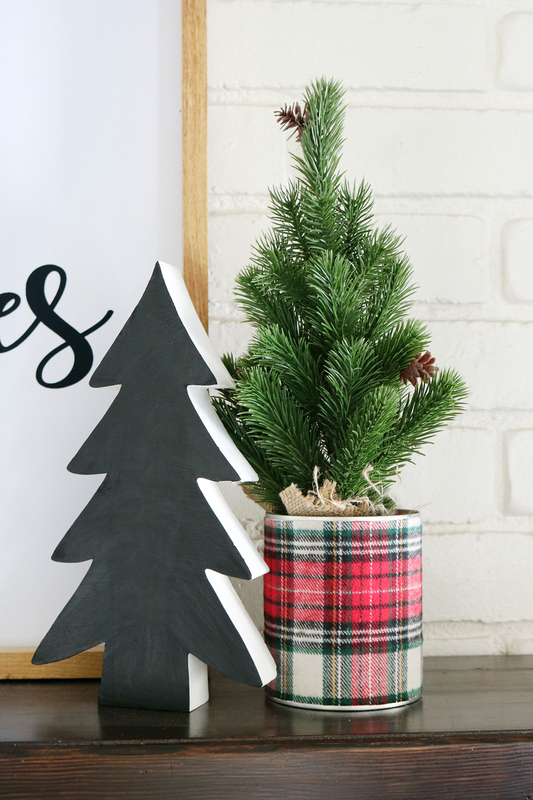 Then I just added my fake little pine trees that I found in the Target dollar spot. 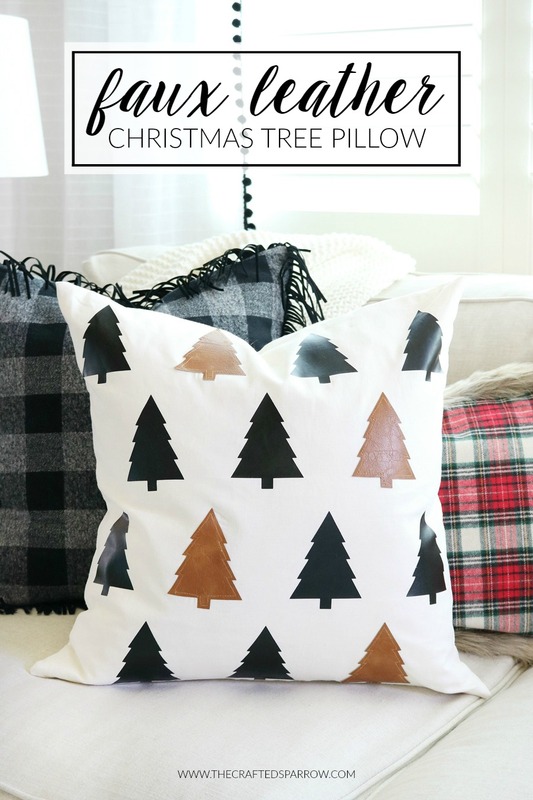 It paired perfectly with my chunky wood trees that I found at Hobby Lobby last year. They were originally green when I purchased them, but a quick coat of black paint and they were perfect. 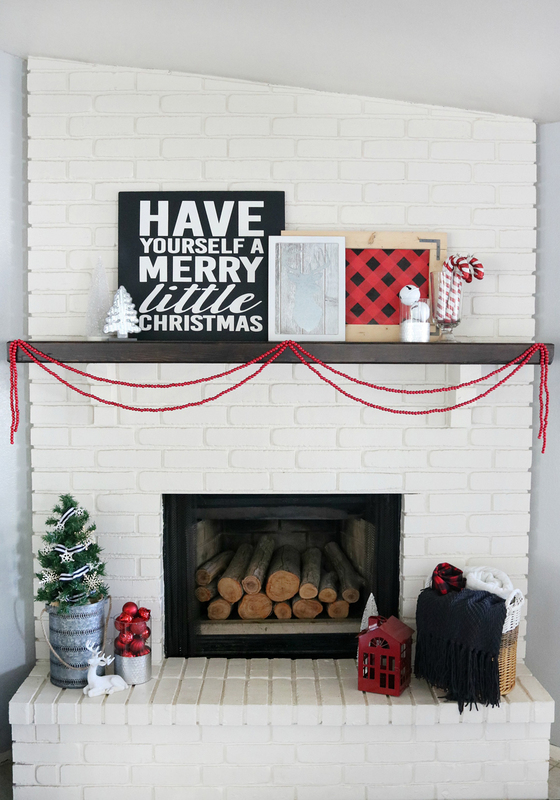 I love how my Leather & Flannel Christmas Mantel mantel turned out this year. 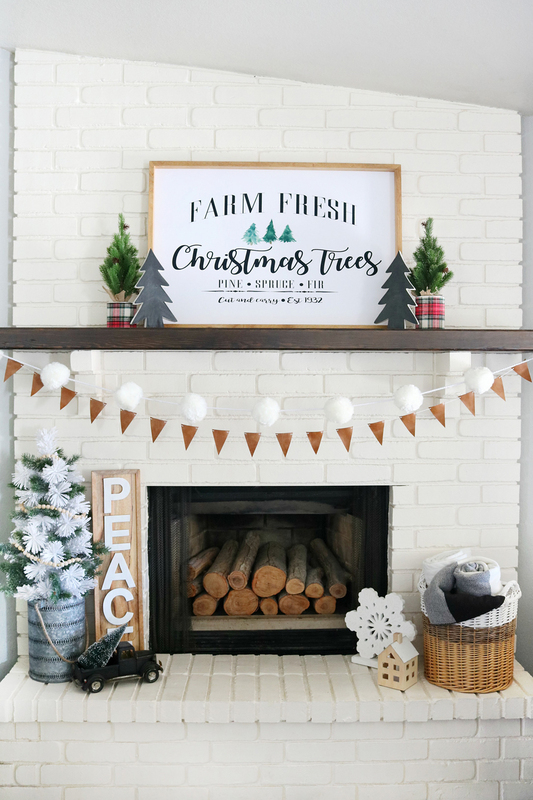 It’s cozy like I wanted, neutral with a small pop of color, and the big Farm Fresh Christmas Trees sign looks perfect against the brick. 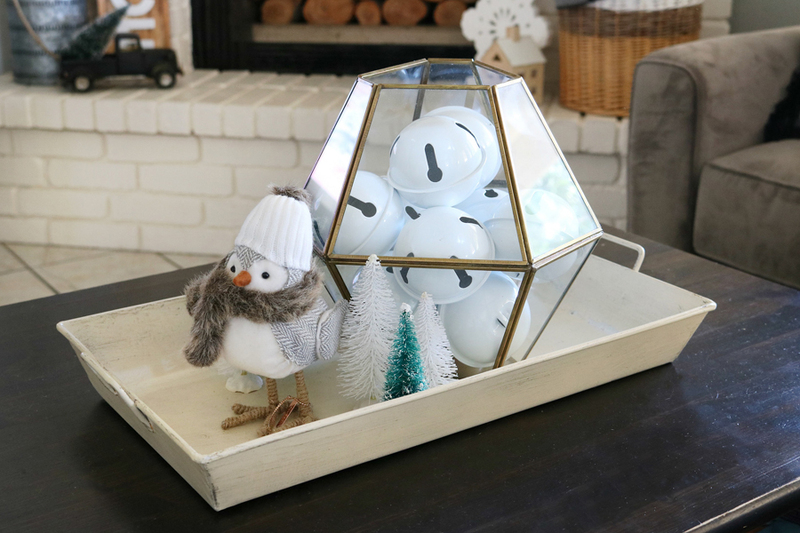 One final touch to my decor in our family room besides my holiday pillows (which are coming this week) was one of my favorite lanterns filled with some giant jingle bells I found at Dollar Tree. They had some added greenery on top and a bow, but I quickly ripped them off and the bells were perfect for the lantern. 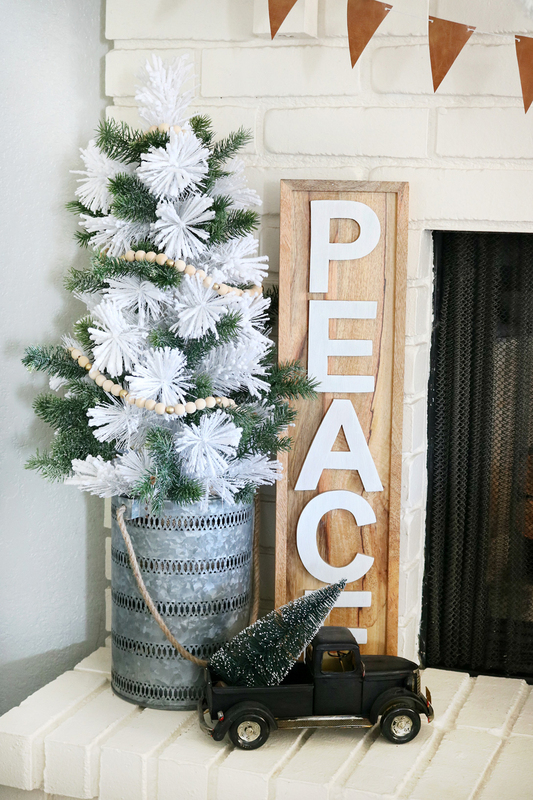 I added a sweet little holiday bird from Target’s holiday decor and some bottle brush trees. 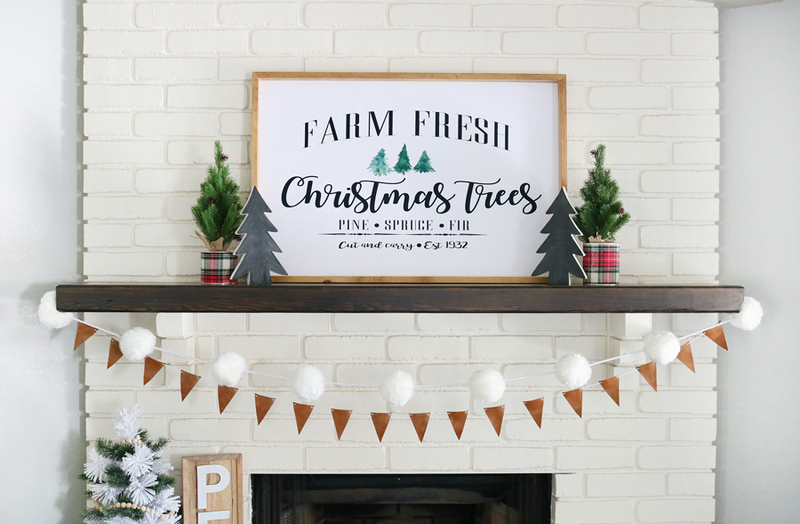 I always love a CS mantle! That sign is amazzing! Thanks friend! xoxoxo The sign is from Sincerely Us Shop, I love it.